MACP (Washington, DC, July 16, 2014) — On Monday and Tuesday King Mohammed VI hosted Spain’s new King, Felipe VI, and Queen Letizia, in Rabat. 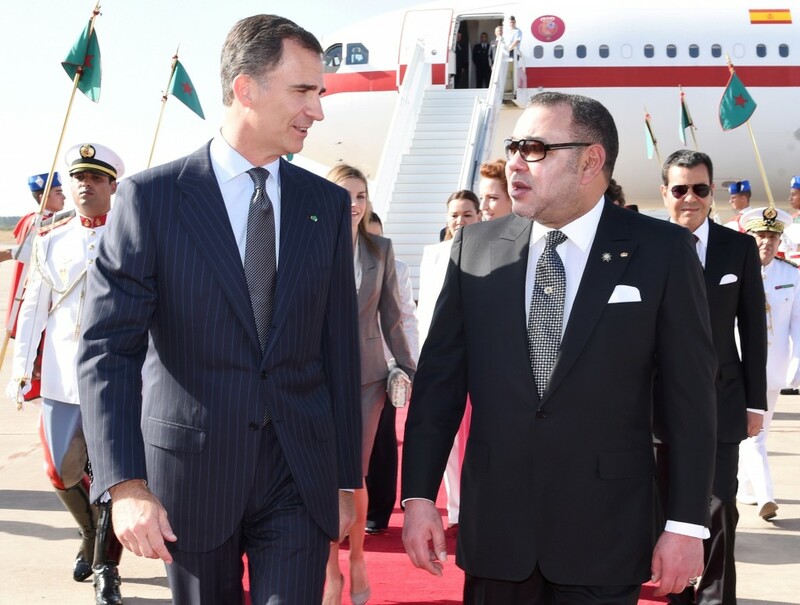 King Felipe VI’s visit, his first to Morocco and third official trip abroad since ascending the throne last month, highlighted the strength of Morocco’s relationship with its close neighbor only eight miles across the Gibraltar Strait. The Spanish King was welcomed to Morocco on Monday by a 21-gun salute, in a ceremony attended by King Mohammed, Spanish Foreign Minister Jose Manuel Garcia Margallo, and his Moroccan counterpart Salaheddine Mezouar. King Mohammed then met with King Felipe VI and decorated the Spanish sovereign and Queen Letizia with the Wissam Al-Mohammadi — the highest state decoration of the Kingdom. 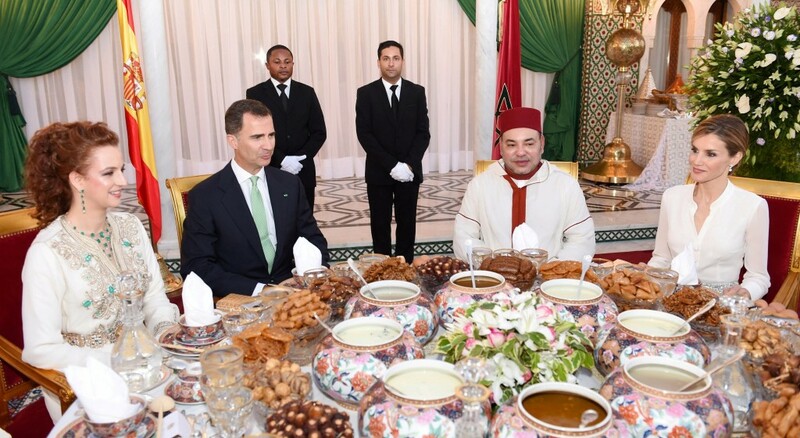 The Spanish royal couple was also invited to an Iftar — the Ramadan meal to break the fast — at the Royal Palace in Rabat. On Tuesday, King Mohammed VI and King Felipe VI travelled to Temara, a suburb of Rabat, where they inaugurated a hotel and tourism training center in the Guich Loudaya district. The $2.2 million project, carried out by the Mohammed V Foundation for Solidarity, underscored the Moroccan King’s commitment to the social development of Morocco’s youth. In addition, King Mohammed VI announced during the Spanish King’s visit that Morocco has ratified a landmark fishing accord with the European Union that will allow Spanish fishing boats to return to Moroccan waters. 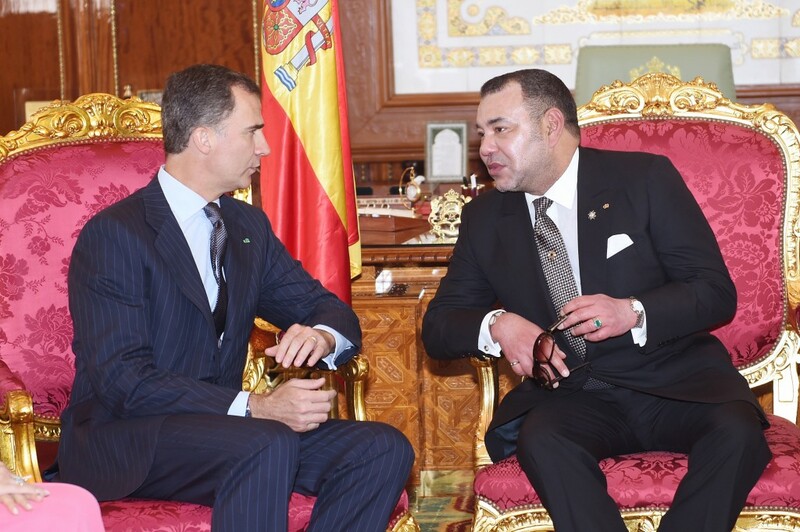 King Felipe VI also met with Morocco’s Head of Government, Abdelilah Benkirane, and other high-ranking officials before concluding his official visit on Tuesday. Morocco and Spain, separated by a narrow sliver of the Mediterranean Sea, share a long history of diplomatic and economic relations. Spain is Morocco’s top economic partner, alongside France, and the two countries cooperate on counterterrorism, counternarcotics, and efforts to stem illegal immigration.